Get professional looking results. Large jobs or small jobs. Get your repairs over quick. Dependable and experienced work crews. Get a no-cost price quote. Affordable. Your satisfaction is guaranteed. Thinking about starting some sort of home improvement project at your home or business? Or maybe there are a few ceiling holes or splits you need fixed. They are qualified installers of sheetrock ceilings and walls. And they do repairs on them also. They are pleased to work on just about any project you have. It could be a new improvement, small business structure or some basic repairs. They get a large number of calls for repair assignments. Repairs may be small and simple or major and time consuming. They work in houses, industrial properties and multi-unit buildings. 1. Truck the drywall sheets to the work place. 2. Install (or hang) the sheets to the ceiling or walls. 3. Tidy up and get rid of rubbish and unneeded material. 4. Tape the joint seams and apply joint compound to each joint or screw head. You could begin painting the new walls as soon as the final texture and last cleanup is finished. It’s your decision as to how many of these actions they complete for you. Most property owners simply have them complete all five, but they could do just one or two if you want. For example, if you’d like to handle the mudding and taping jobs, they can just deliver it and hang it up on your walls so that you can finish later on. If you are interested in installing it by yourself, they can come later on and just do the taping, mudding and finishing. Other than common drywall products, they can also supply and install special boards which are made for use in wet areas such as bathrooms or wall surfaces which will have to hold up heavy tile. They’re flexible and they will work with your schedule. Accidents and other problems will happen when you own a house. People unintentionally make a hole in their ceiling or wall on a regular basis. It is quite common. And plumbing problems occur often too. Soaked sheetrock usually must get replaced. Now, if you just have one or two small holes to fix up, you might attempt doing them on your own. A hole too large for just joint compound needs a patch. Installing a patch is a little difficult. Many homeowner attempts wind up looking a little like a mysterious bulge after the patched spot has dried and become painted. Holes that are in your main rooms should be dealt with by a pro. They have plenty of practice patching and concealing past damage. One of the difficult aspects of this process can be to match the surface texture of the new materials so it seems just like the original material. Fixing or patching one or more separate holes or dents. Mending a few bad panels so related areas or room can be painted. Taking away and replacing pieces of sheetrock spoiled by water or something else. Completing the removal and replacement of a big room or two. Sometimes due to a water malfunction or other event. Regardless of the size your project is, they will try to get it booked and executed quickly. You have options concerning the texture of your walls. Fully unfinished surface – merely taped, meant for non-finished work spaces or garage areas. Smooth finish – no extra texture, all set for painting or wallpaper. Simple texture – delivers a little bit more depth. Texture matching – make your replacement wall surfaces match up with your original ones. Most homeowners have tired of the spray-on popcorn ceiling texture. They can scrape away your unwanted, messy popcorn ceiling texture and change it with a clean, smooth one. This company focuses on providing interior wall and ceiling jobs around the metro area. Their purpose is to create good results at a reasonable cost. 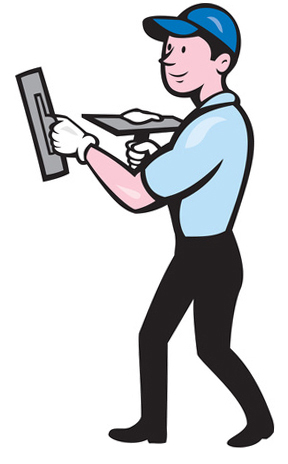 They only use professional gear and safety tools to complete your job quick and safely. And the products they put into your property are dependable and durable. These workers recognize that any home renovation is stressful on the owner. They’ll try to keep the whole process as stress free as they can. Plus, they try to keep the dust and dirt to a minimum too. They can clean up after themselves. They carry everything away with them when they’re finished with it. They do an assortment of projects. 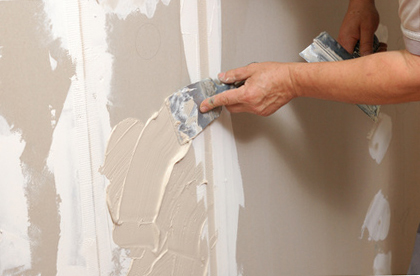 They perform fundamental sheetrock repairs, specialty work at expensive homes, and last-minute projects for business owners. They can work with any person, from individual homeowners to industrial building managers. Everyone’s job will be different. They will be pleased to provide you with a quote. Your project cost will depend mostly on the size of the project and how much of the job you want them to do for you. Because there can be so many variables, it’s best to simply talk to them on the phone and get your quote. If you want to have them start the painting stage of the project, they will get moving on it as soon as the surfaces are finished and dry. However, if you’re interested in doing your own painting, that’s fine with them too. You can regularly find them working around the city, often in downtown, Mount Rubidoux Park, City College or Fairmont Park. Work goes on outside of town and in the suburbs too – Arlanza, La Sierra and Arlington, Magnolia Center, Mission Grove, North Riverside, Norca, South Riverside, UC-Riverside district and even Corona.